The agreement between Animals Asia and the Vietnamese government is historic – here’s what it means for the 1,000 bears still on bile farms. 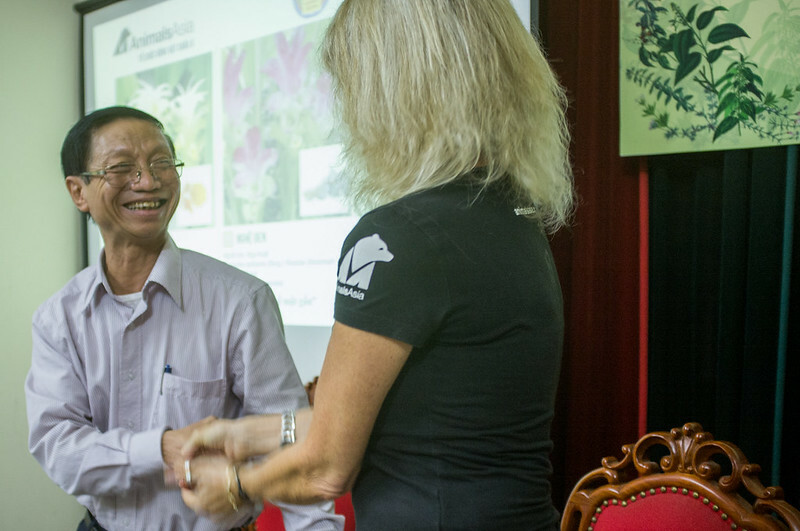 The MOU between Animals Asia and the Vietnam Administration of Forestry (VNFOREST) has put both the NGO and the government department in joint charge of finally ending Vietnam’s bear bile industry, forever. It also sets both parties on the road toward a common goal – shutting down every bear bile farm in Vietnam and moving the remaining bears to rescue centres. To get to that point, sanctuary space for 1,000 bears – with the best possible levels of welfare – must be built. How this will be achieved raises many legitimate and difficult questions – but what is clear is that success will require the input of numerous government departments, NGOs and supporters around the world working together. In general terms, the MOU is a critical, must-have step in the process of ending bear bile farming in Vietnam. It sends a clear message to bear bile farmers around the country that this industry is over. The government has committed to ending the trade and the pressure on farmers to transfer their bears will increase. It allows the government to introduce new legislation, if needed, to help end the trade, which would be difficult to justify without the signed agreement. The MOU also provides mechanism for government to upgrade their existing facilities which receive and keep bears. This will ensure that any government facility under the Ministry of Agriculture and Rural Development will be tied to these standards. In an even wider context, this is potentially an opportunity for Animals Asia to introduce much sought-after welfare guidelines for all wildlife in captivity across the country – in effect creating a national standard for keeping wildlife in captivity. Pivotally, the MOU also shows government acknowledgement that bear bile farming – previously touted by its supporters as a conservation tool – has decimated wild populations across the region. A report by Animals Asia and Free The Bears released in 2016 found that wild populations across South East Asia had fallen dramatically with precious few pockets of wild bears existing in Vietnam today. 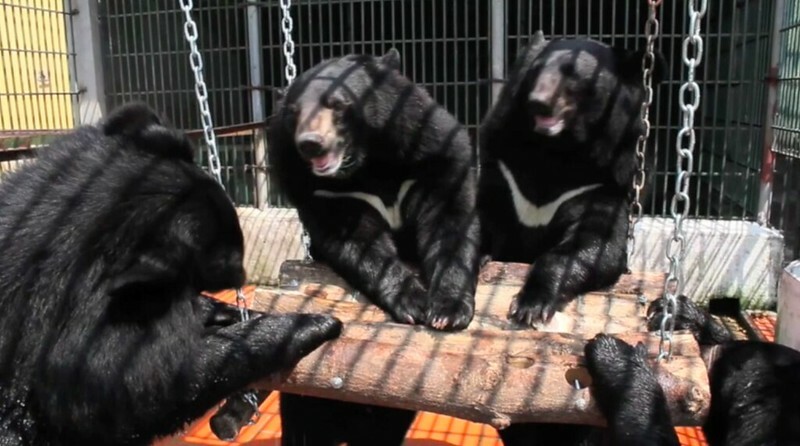 In practical terms, rescuing the remaining bears will require multiple sanctuaries – capable of accommodating potentially up to 1,000 bears – to be constructed. Land needs to be sourced and purchased. Plans must be drawn up and sanctuaries built that meet both the welfare needs of the bears and the safety of local communities and staff. These new facilities must be staffed by trained bear managers and vets for the entirety of the bears’ lifetimes. Importantly, Animals Asia has also signed an MOU with the Vietnamese Traditional Medicine Association which, commits traditional medicine practitioners to completely cease prescribing bear bile by 2020. This sets a key deadline for the industry as a whole, as this is the time by which demand is expected to fall to its lowest level and the remaining illegal market collapse. At that point many bear bile farmers will no longer be able to financially keep the bears and will be looking for a way out of the industry. Most will want to hand the bears over to sanctuaries which ideally will be ready to take them. If they are not, then some unscrupulous farmers may look to traffic the bears, stop feeding them or try to extract a final payday by selling body parts on the black market. Resources for the monitoring of farms, the construction of sanctuaries and the transfer of bears will be vital. The MOU represents a decision by the Vietnamese government to get serious about finally ending the bear bile farming industry that has persisted illegally for so long. It is an acknowledgement, that they have moved on from the previous hope – born out of a scarcity of resources – that the problem would literally just disappear. They want this over and have publicly agreed that only the complete eradication of all private ownership of bears will end the shame of bear bile farming in Vietnam and secure the future of the country’s remaining wild populations.